Every Leader and Manager can choose how to ride it! I am a international EMCC certified professional Coach with extensive experience from coaching and training senior managers, business owners and teams. Additionally I consider as personal assets a wealth of practical knowledge and experience in the areas of leadership, management and professional development. Senior Managers, Leaders and Teams in the Nordics, Germany and South Africa have been substantially improving their business performance on a professional, team and organizational level through BlueCoach coaching and training services. BlueCoach has established a large international network of Professionals from the coaching, training and consulting sector to have even greater resource flexibility to meet client’s needs on large assignments. André holds a MBA from the University of Technology in Aachen, Germany and a MA Professional Development (Coaching) from the Middlesex University in the UK. He has been extensively studying and researching professional development, coaching, learning, leadership, management, communication and relationships in Germany, South Africa and the UK. As a Sales Manager for global telecommunication companies in Frankfurt, Germany, André advised and consulted some of the largest corporations in Germany on creating and designing international networks and e-business solutions. André is an International Certified Professional Coach through the Middlesex University in the UK and the European Coaching and Mentoring Council (ECMC). As a Coach, Trainer and Consultant André has worked in a wide range of settings with multiple cultures, starting from volunteer work in HIV projects in South Africa to top management training and coaching in Europe. His intention with all his clients is to create an environment for individual growth, appreciation of what is, purposeful action, and sustained improvement. His coaching and training approach is person centered, performance driven and challenging. He truly honors the transparency and confidentiality of each client relationship. His working method is formed through his own experience and development on a personal and professional level. 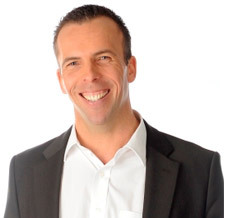 Generally, clients appreciate and respect Andre´s commitment to deliver high end coaching and training with an energy level and passion that is truly contagious.